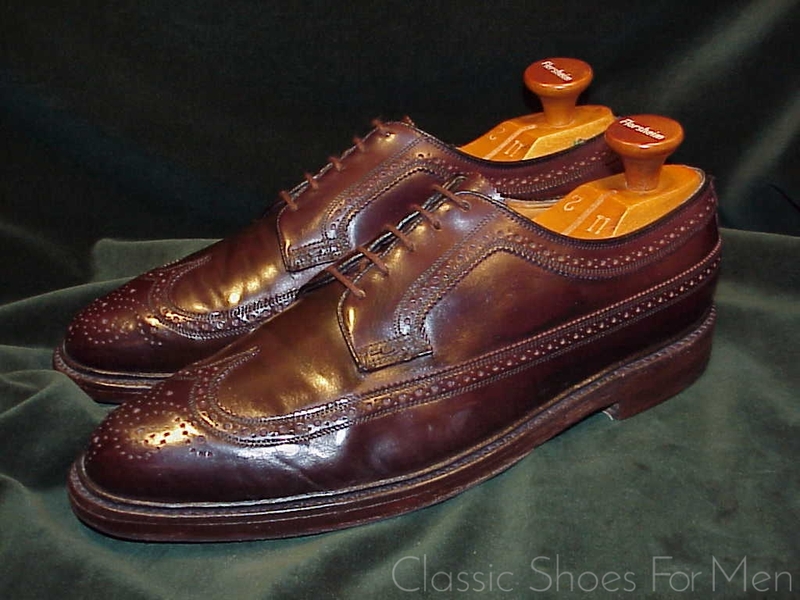 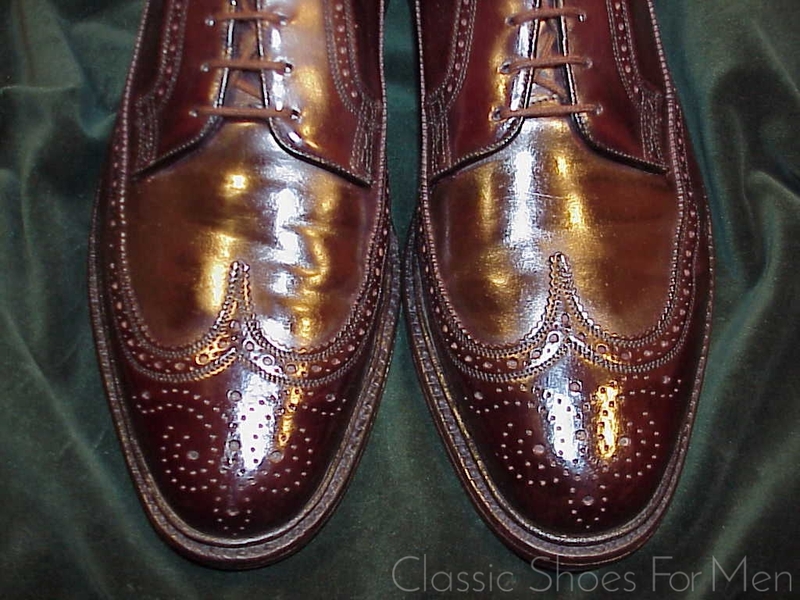 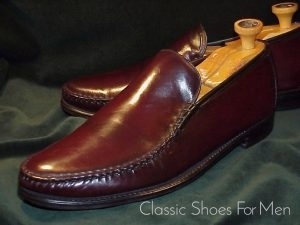 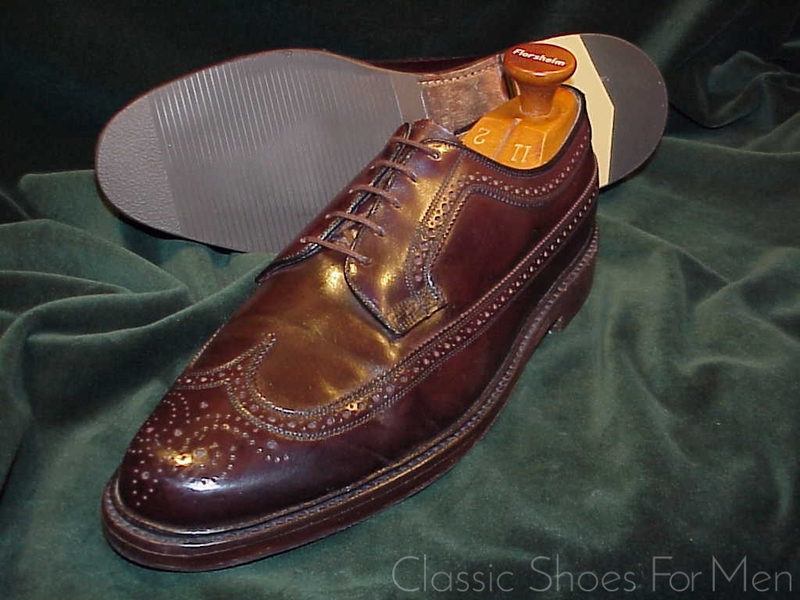 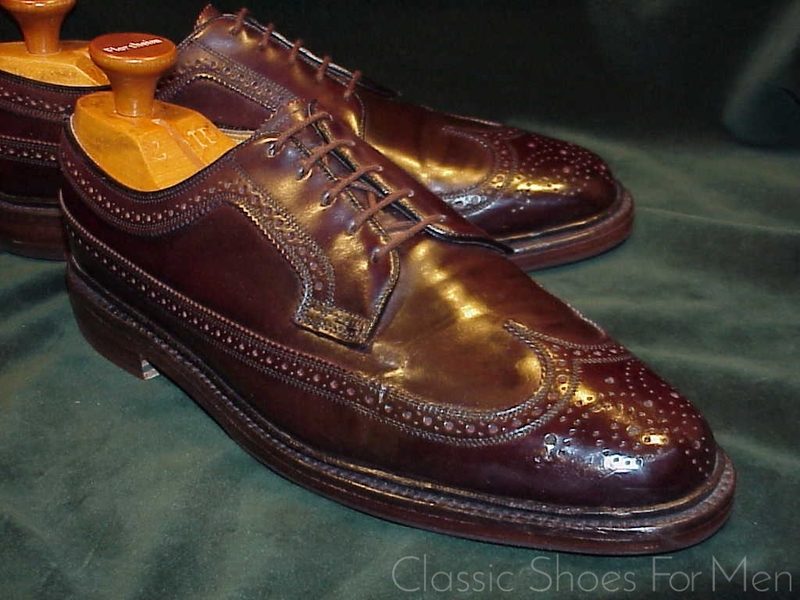 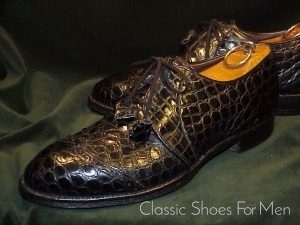 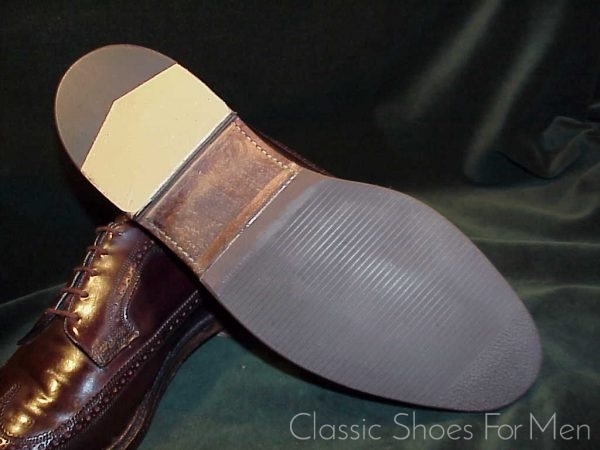 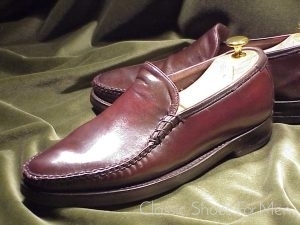 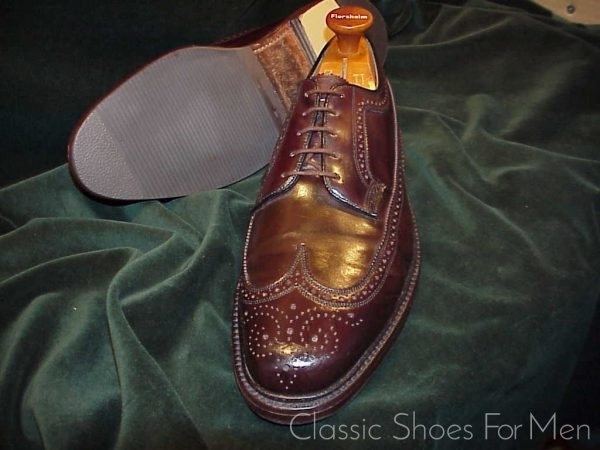 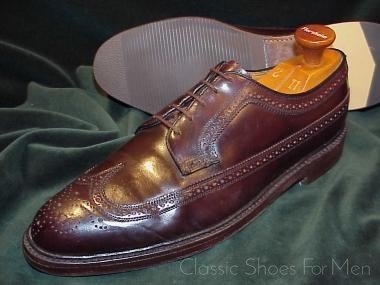 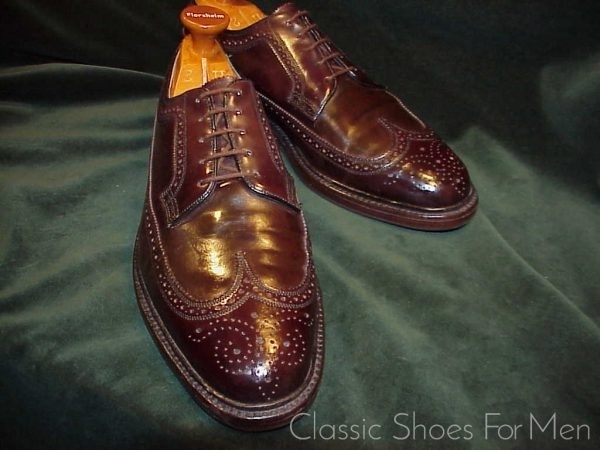 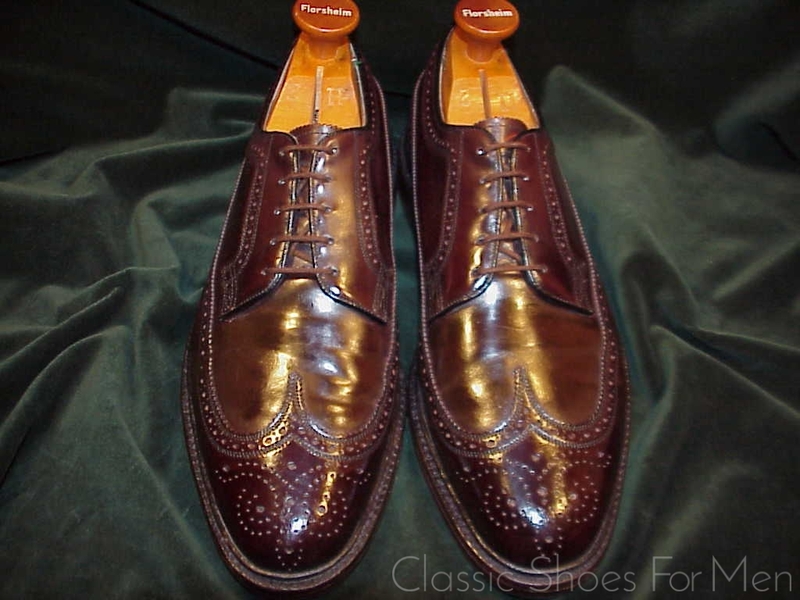 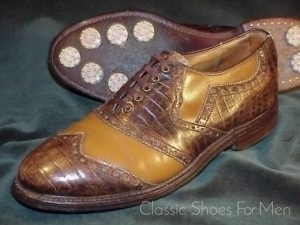 Newly restored with non-slip "Topy" rubber sole and combination heels. 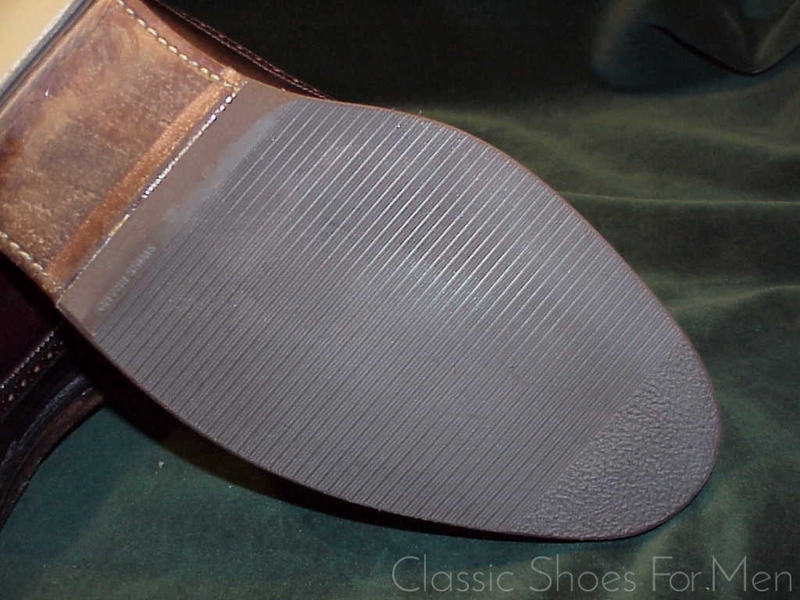 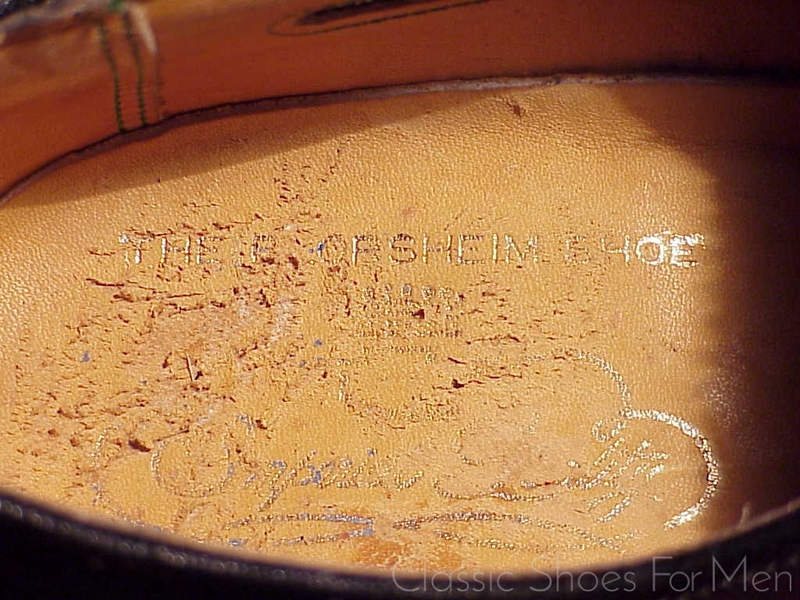 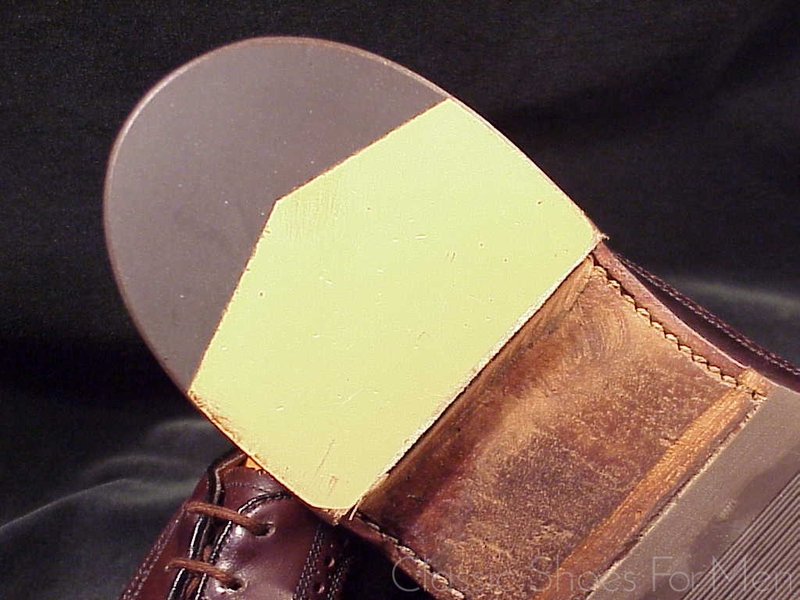 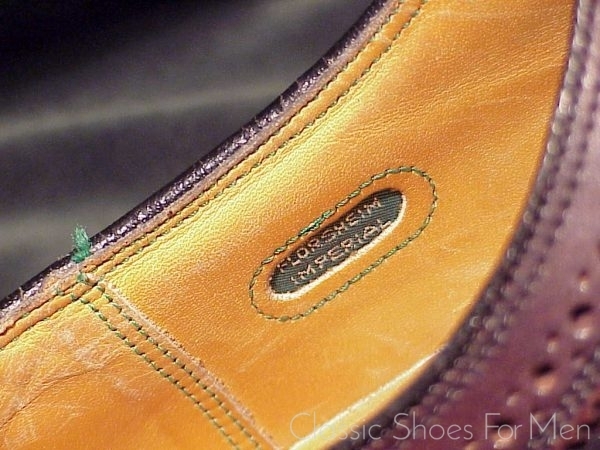 Superb, showing trivial wear to custom Vibram sole. 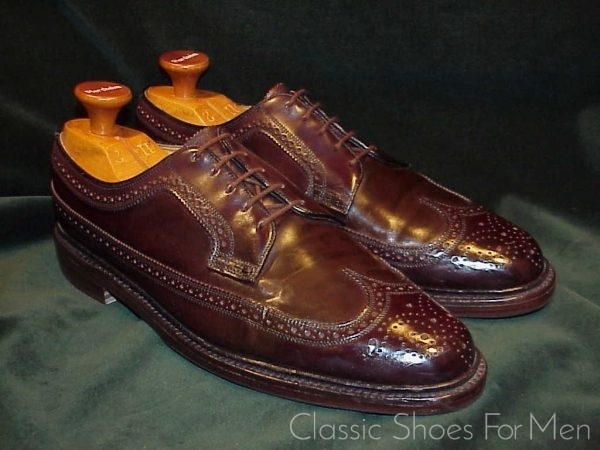 This pair has a small flaw in the brogueing of the right shoe, see picture 1 and 5, otherwise fine.